Seattle and Montreal – Screenlife is pleased to unveil the latest home console iteration of the bestselling Scene It?® brand. Scene It?® Bright Lights! Big Screen!™ will be the first videogame in the Scene It? franchise available for Wii™ and PlayStation®3 computer entertainment systems and marks a return for the brand to the Xbox 360® videogame and entertainment system from Microsoft. Previous product success on the Xbox platform combined with casual gaming’s explosive growth create a tremendous opportunity for Screenlife to bring its unique brand of entertainment trivia game play to millions of new consumers. Scene It? Bright Lights! Big Screen! brings it all together and provides incredible fun for the whole family. 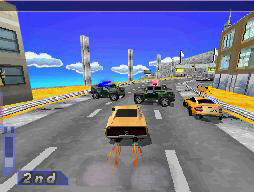 Single-player mode challenges player speed and entertainment trivia know-how, while multi-player mode creates a challenging social gameplay experience. London ON – Big Blue Bubble, developers of the Warlock of Firetop Mountain for Nintendo DS, are beginning the production of iPhone versions of five classic Fighting Fantasy titles: Warlock of Firetop Mountain, Citadel of Chaos, Deathtrap Dungeon, Creature of Havoc and City of Thieves. The adventure will begin with the release of Warlock of Firetop Mountain in October 2009. Readers should stay tuned for more intrigue and adventure with new titles appearing every couple of months. Fighting Fantasy fans will love the classic story and original illustrations with a technological twist. No more dice, pencils, or bookmarks. All the special features are built in! For readers owning Apple iPhone/iPod devices this is a very exciting new development. Watch out for the appearance of Fighting Fantasy 1: The Warlock of Firetop Mountain at the App Store. The Fighting Fantasy book series was born in 1982 when authors Steve Jackson and Ian Livingstone created a revolutionary new idea for the fantasy genre with the first title, The Warlock of Firetop Mountain. The reader became the hero of his or her own fantasy adventure in a story that was part book, part game. After each paragraph a decision must be made; which way to turn, whether to fight or flee, which mysterious character to approach, and what risks to take. Each decision sent the reader to a different page to discover the consequences of their choice, with each read-through ending either in disaster, or with the discovery of the ultimate goal. To date, the series has seen more than 70 titles published and more than 14 million copies sold worldwide. Fighting Fantasy: The Warlock of Firetop Mountain for Nintendo DS will be available this holiday season as well. 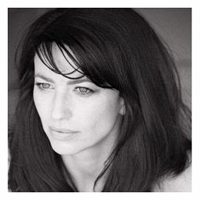 Edmonton – Bioware has secured a star-studded voiceover cast for its upcoming blockbuster game, Dragon Age™: Origins. Featuring Tim Curry, star of The Rocky Horror Picture Show and Broadway’s Spamalot, as well as Kate Mulgrew, well-known for her role as Capt. 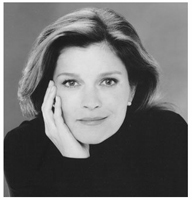 Kathryn Janeway in “Star Trek: Voyager”, Dragon Age: Origins also includes notable cast members Tim Russ (“Star Trek: Voyager,” “Samantha Who?”), Claudia Black (“Stargate SG-1,” “Pitch Black”) and Steve Valentine (“Estate of Panic,” “Crossing Jordan”). Dragon Age: Origins marks BioWare’s return to fantasy, created from the ground up to take players through a dark epic tale filled with violence, lust, and betrayal. 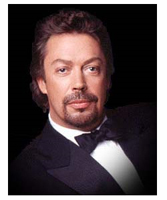 Tim Curry will play the villainous Arl Rendon Howe. Howe is the calculating villain, cultured and charming, with an insatiable lust for power, who never hesitates to harm anyone who gets in his way. Kate Mulgrew will lend her vocal flair to Flemeth, a powerful witch who maintains her immortality through the darkest of means, and who plays a pivotal role in the player’s survival. Both roles provide the actors with the opportunity to bring their considerable talents to bear in their portrayal of these characters. In Dragon Age: Origins, players take on the role of a Grey Warden, one of the last of an ancient order of guardians who have served as protectors throughout the centuries. Only they have the power to unite the shattered lands, defeat the Archdemon and drive back the darkspawn that threaten to destroy the world. Players will interact with many interesting characters who may join them in their quest, and they will choose whether these characters become friends, foes, or even a romantic interest. Featuring a deep and compelling story where every choice can have a dramatic impact on the game, Dragon Age: Origins is scheduled to release on November 3, 2009 in North America, for the PC and Xbox 360® videogame and entertainment system and later in November for the PLAYSTATION®3 computer entertainment system. Dragon Age: Origins is rated M by the ESRB. Canada – Ubisoft Montreal has launched the first in-game trailer for Avatar The Game. The trailer shows off the game environment and some very interesting creatures, along with several explosive combat scenes between human forces and the native Na’vi people on the planet of Pandora. I can tell just by watching the trailer that this game is going to popular in the Village Gamer home office what with its big guns, big flying machines and fighting creatures. Pandora looks to be a place of incredible scenery full of imagination and wonders to be discovered – all while trying to stay alive (sometimes quite a challenge for me) and battling for planet supremacy. We will most definitely be looking forward to this game’s release on November 24th. Ubisoft has also released more PC Games from their back-catalogue on GoG.com. The newly re-released titles include Heroes of Might and Magic® 2 Gold Edition, Heroes of Might and Magic® 3 Complete Edition, The Settlers® 2 Gold Edition and the stunning Might and Magic® 6 Limited Edition, which includes parts 1–6 of the landmark RPG series. All games are totally DRM-free, fully compatible with XP and Vista and accompanied by mounds of extras, including soundtracks, wallpapers, forum avatars, maps and much more. SARF Studios has opened their studio’s new web site, which introduces their flagship product, an innovative, social virtual world named Planet SARF. 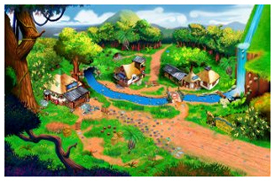 Realizing the momentum, trends, and potentials related to environmental sustainability, Planet SARF has focused on creating an amusing and educational virtual experience based on the principles of Edutainment, educational entertainment as an effective learning tool. Using highly detailed 3D imagery, players will be immersed in an open-ended, virtual adventure as they explore the beauty and mysticism of the Yucatan rainforests, Mexico. 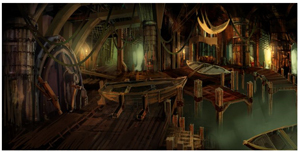 Players can choose a customizable character, which will be their Avatar in a virtual adventure that includes water rafting, diving, exploring, mini games, and learning. Planet SARF will educate players about the flora and fauna as the players advance throughout the game. Informative pop-up windows will show specifics regarding the animal, plant, or geological characteristics encountered in the game. Research has found that not only are virtual worlds effective learning tools for children, they are also valuable opportunities for children to practice social and life skills. 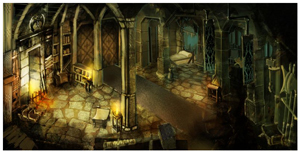 London ON – Big Blue Bubble Inc. announced today that their award winning role-playing game, Elven Chronicles, will be arriving on the Apple’s mobile platforms, the iPhone and iPod Touch, in September. Elven Chronicles puts the player in the shoes of a young knight, fighting to discover the secrets of his forgotten past, and a charismatic elf on quest for self redemption. With a massive 20 hours of captivating story, vast territories to explore, randomly generated dungeons, and gorgeous, hand drawn enemies and characters, Elven Chronicles will keep even the most seasoned RPG’er engaged. Winner of Pop Vox’s Best Mobile Game, Elven Chronicles has garnered praised by industry professionals and critics alike: “Zelda meets Final Fantasy in this massive RPG” (Anannya Sen, Mobile Game FAQs). 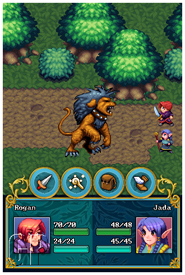 Elven Chronicles was developed for the Apple iPhone 3G/3Gs, iPod Touch. Montreal – Well-known British humorist and author Danny Wallace will be cast as one of the key roles in Ubisoft’s upcoming title Assassin’s Creed 2. The voice and likeness of Wallace will be cast for the character of Shaun Hastings. A pivotal character in the game, Shaun will serve as a historian, guide and source of information for the player as he proceeds through the game. Danny Wallace is most recognized as the author of critically acclaimed books including Join Me and Yes Man. The latter was turned into a Hollywood movie starring Jim Carey in 2008, whilst more recently this year his latest book Friends Like These has been released in paperback. In recent years, Danny has also been involved in a variety of different ‘projects’ from searching the globe for robots and creating his own country in central London, to more sedate celebrity activity such as appearing on the Jonathan Ross show and writing a regular column for award-winning lifestyle magazine ShortList. 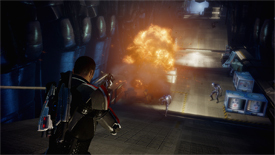 Edmonton – BioWare™ has revealed new plot points in the epic sci-fi fantasy Mass Effect 2™. Once again stepping into the role of the heroic Commander Shepard, gamers will command their crew on a suicide mission in space. 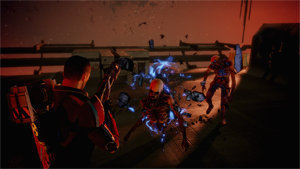 Players will strategically select each member of their squad, all of whom have a direct impact on the direction of the story and the squad’s chances for survival. Players will select from a motley cast of characters including the newly revealed ‘Grunt’ – a blood-hungry Krogan. Once players have assembled their squad from amongst the galaxy’s most powerful mystics, geniuses, and convicts, they must lead them on a suicide mission to discover why humans are vanishing from the galaxy. The success of the mission hinges on the squad recruited and their loyalty to the mission. Shepard’s future depends on it. The new character revealed in the Mass Effect 2 squad is ‘Grunt’. A violent and unpredictable Krogan fighter, Grunt has never faced true defeat. His unsurpassed physical strength makes him a strong asset to Commander Shepard’s team, if he can be tamed, and if he can be trusted. Grunt is the second party member to be revealed in the Mass Effect 2 universe following ‘Thane’ a deadly assassin who was first introduced in June. More details about the rest of Shepard’s crew will be revealed in the coming months. The Mass Effect trilogy is a masterful science fiction adventure set in a vast universe filled with dangerous alien life and mysterious uncharted planets. Mass Effect 2 is scheduled for release on Xbox 360® videogame and entertainment system and PC in early 2010. For daily updates, follow the Mass Effect 2 crew on Twitter. Montreal – Start 2010 with a bang! EA Montreal has announced that Army of Two™: The 40th Day will ship on January 12, 2010 in North America and January 8, 2010 in Europe. The sequel to the 2008 multi-platinum co-op shooter sees the return of the ultimate two-man private military team, Salem and Rios. Trapped in the middle of Shanghai as it falls under attack, the two must work as a team to survive relentless enemy assaults and escape the city collapsing around them. 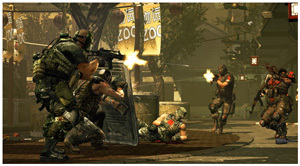 Gamers who pre-order* Army of Two: The 40th Day now will have exclusive access to the game’s all-new explosive multi-player mode, ‘Extraction,’ at launch. This mode will be unlocked for all other players one month after the game ships.